SaltX Technology is an award-winning company in Sweden which has developed a worldwide patented ground-breaking nano technology, storing energy in salt for an unlimited amount of time to provide heating and/or cooling. The company is primary focusing on large scale energy storage, which is required to deal with the inconsistency of renewable energy supply. 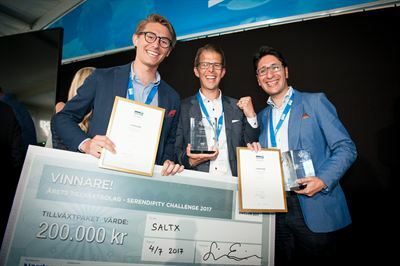 SaltX´s innovation, built with nano-coated salt technology, is a circular thermal energy storage solution that provides peak shifting to energy grid providers, industrial and commercial customers. With a low cost SaltX Energy Storage is enabling the full transition to renewable energy, globally.